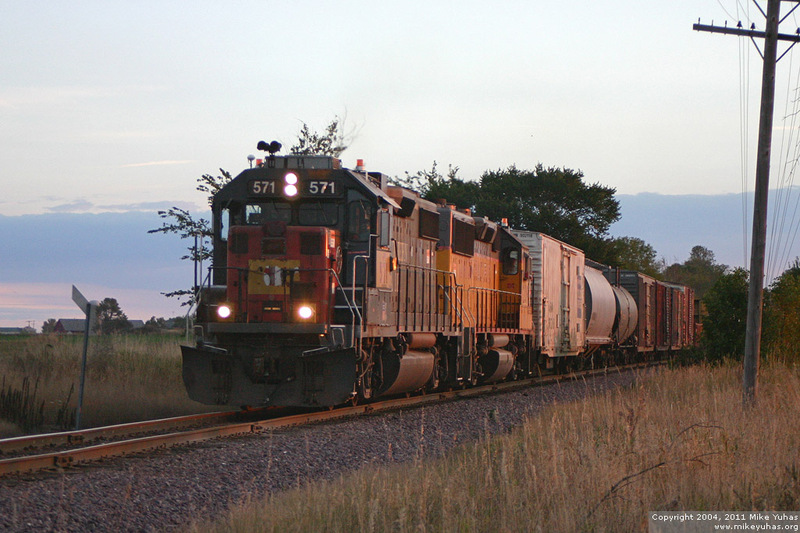 An unusual early daytime greets the Union Pacific Sheboygan Local heading to Milwaukee just after sunup. Ordinarily, this train leaves Sheboygan in the dead of night. They had met a northbound train at Belgium and are seen here just north of the Highway KW crossing in the town of Belgium, Wisconsin.